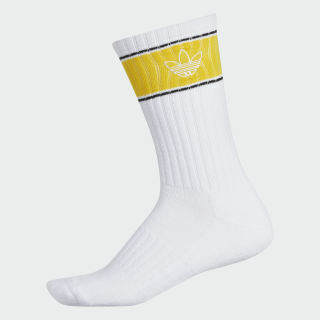 Crew socks inspired by retro hoops style. Add extra swagger to your sneaker game. These crew socks show off a bold look with bands of color that recall vintage B-ball designs. They're built to cushion your feet and are finished with an embroidered Trefoil on the cuff.